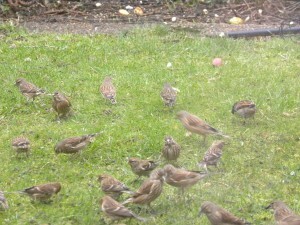 I can honestly say I’ve never seen so many birds in our garden at any one time! 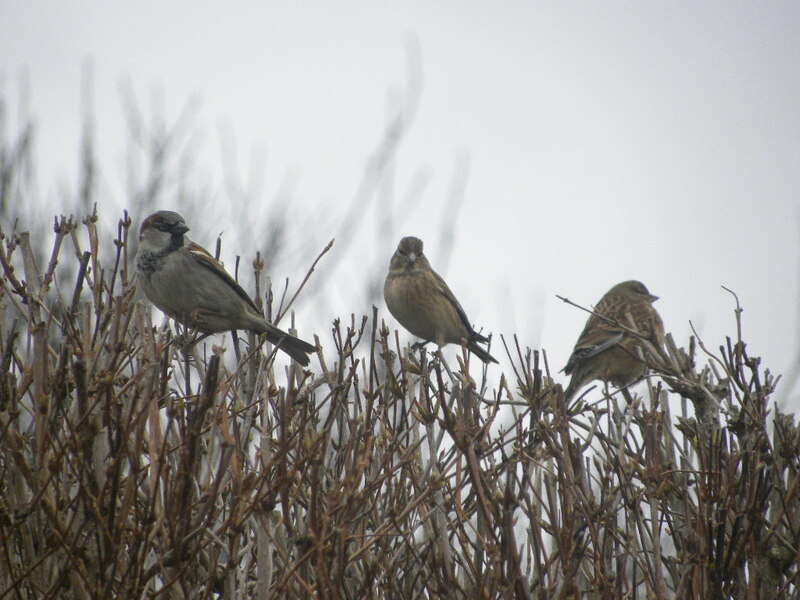 We have a huge (70+) mixed flock of Linnets, Goldfinches, Greenfinches, Chaffinches and Redpolls (maybe Lesser, I’m not sure!). 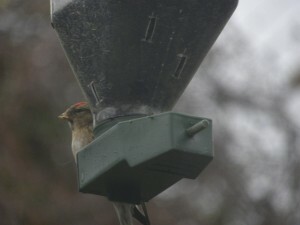 We’ve made our own nyger seed feeder out of an old plastic feeder and it seems to be going down a treat. 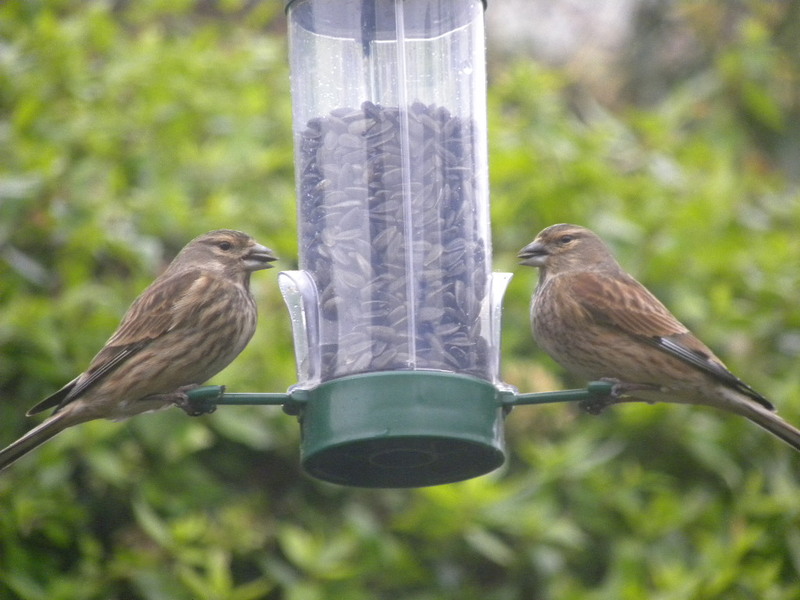 I actually feel sorry for the House Sparrows & Starlings as they don’t seem to be getting a look in, but I’m making sure they also have plenty of peanuts and normal mixed seed to keep them going! The other bit of good news is that the Brambling is still around. 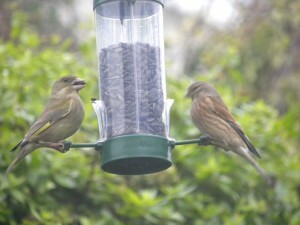 It came down with the Chaffinches this morning (unfortunately no photo though). Fantastic! That would lift my spirit too. 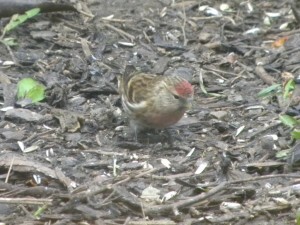 I was just feeling smug about getting my first single Lesser Redpoll in the garden today for about three years. Never had a Linnet though. 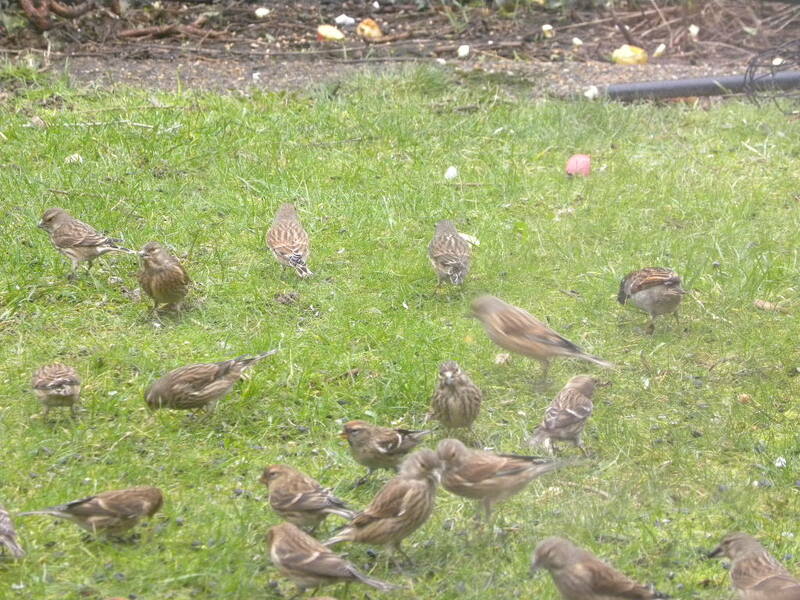 A great selection of birds there. 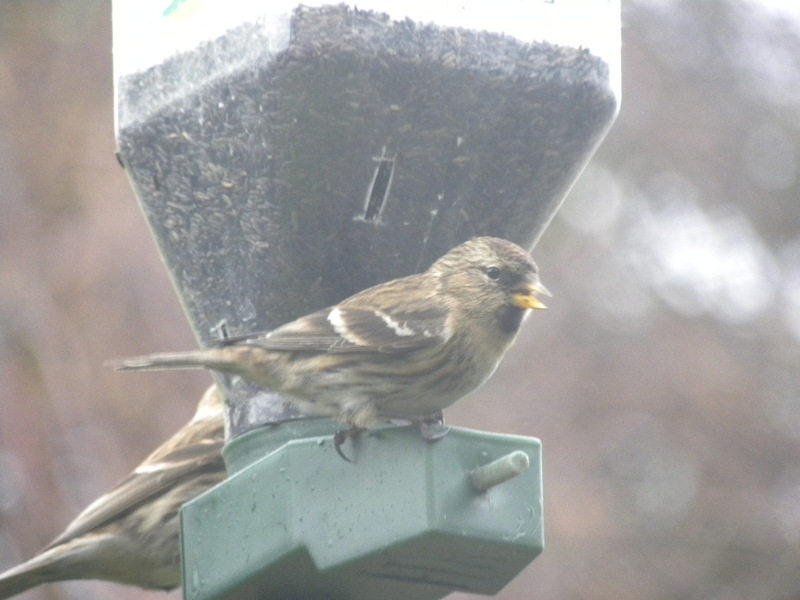 It seems Linnets are now taking to feeders at some locations…saw a flock at a feeder near Clontarf in Dublin this winter. 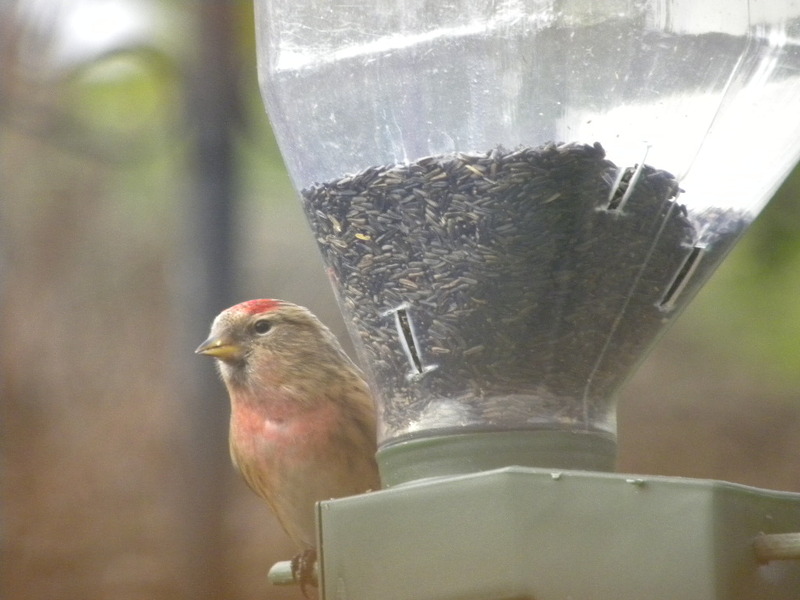 The Redpolls are, as you rightly guessed, Lesser Redpolls. They are the typicial buff-coloured birds you would expect for Lesser Polls. 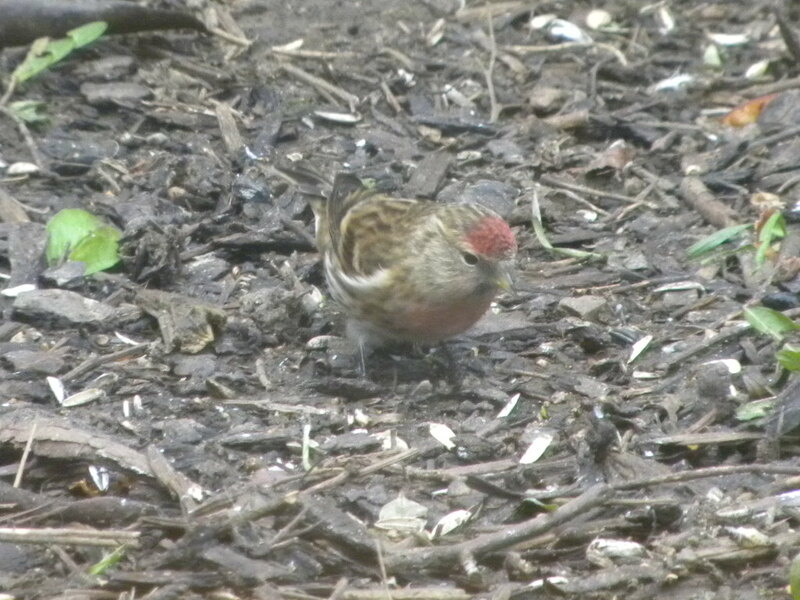 At this time of year the birds are beginning to moult and show that beautiful red wash across the breast. 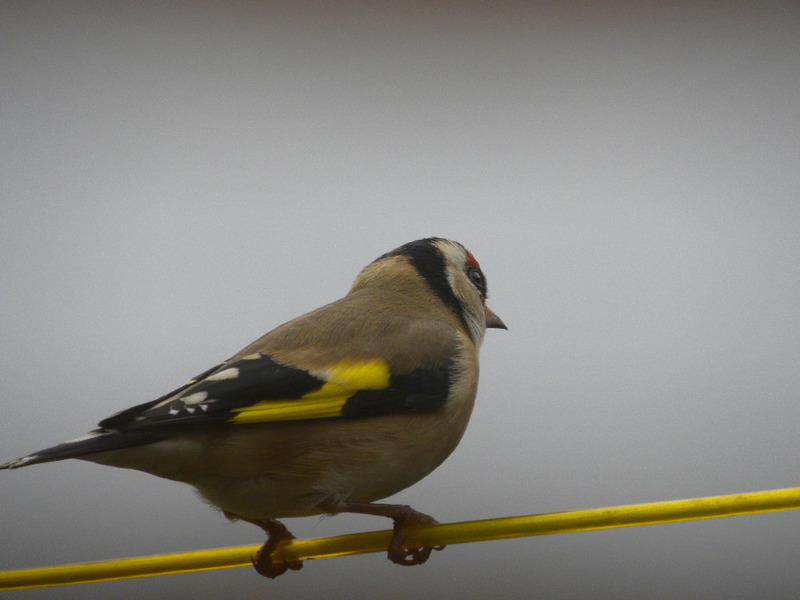 Love the last photo of the Goldfinch with the splash of yellow being the same colour as your washing line! Thanks Chris – still wouldn’t mind your Waxwing though!